Briffa allegedly failed to disclose and archive raw tree-ring measurement data sets for several years, despite an obligation to do so by the data disclosure policies of the journals that published his work, such as Nature and Science. Briffa also allegedly cherrypicked by failing to include other available tree-ring data from another site in the same region (the Schweingruber chronology from Khadyta River), even though he had combined more geographically disparate series in other cases where sample sizes were low. The “proper” chronology constructed from these two sites’ data makes the hockey stick “disappear”. Now McIntyre has posted part of an email from one of the original Russian researchers, namely Rashit Hantemirov, that sheds new light on all of McIntyre’s contentions, to say the least. (The email was not written to McIntyre, but was forwarded to him by an anonymous correspondent). Low number of used for reconstruction subfossil series is explained by standardisation method (“corridor method”). We had to select the longest series. The same concerns to living trees. There are not much old living trees in this area (in contrast to Polar Urals), therefore we used only 17 (not 12) samples from living trees. At that time we had close collaboration with CRU and I sent to Keith Briffa these raw data. So, selection of samples has been made by me taking into account length of individual series as well as common requirements to increment cores (exclusion samples with compression wood, rotten wood etc.). As to the first accusation, it should be clear now if it weren’t already (as one Eli Rabett and dhogaza have both shown) that Briffa did not have control, or the right to distribute, the raw data. The data belonged to the Russians (Hantemirov and his co-author Shiyatov). Not only that, but it appears they may not have even let Briffa have the complete data set, only the samples they used in their own work. Why? It might be they had not yet published results using the complete data set, and were loathe to let Briffa do so before they did. But it could also be that not all the living tree samples were available before; the timeline for taking of the samples is not clear. Whatever the details, McIntyre has been clearly barking (and snarling) up the wrong tree, so to speak. As to the second accusation, it’s true that the Russians pre-selected for age. But they also eliminated some samples for other reasons. More to the point, there is no evidence whatsoever that preselecting for age, necessary for the Russians’ corridor method, would somehow skew the result towards a “hockey stick” shape, let alone that that was the intention. (And, again, it’s not even clear when additional younger living-tree samples were taken; some or most may have been taken later). But in fact, as Hantemirov explains, his application of the RCS (regional curve standardization) method to the larger live core data set now available, gives a result very close to Briffa’s, as seen in Hantemirov’s graphs below. The Yamal hockey stick has magically repaired itself. In my view, the third accusation is specious on its face, and the analysis and jerry-rigged chronologies proffered by McIntyre to support it simply do not hold up, as I discussed previously (also see Delayed Oscillator for an analysis of the issues). If McIntyre still thinks his versions of the Yamal chronologies have merit, then he should submit them to a peer-reviewed scientific journal, as many commentators have already noted. 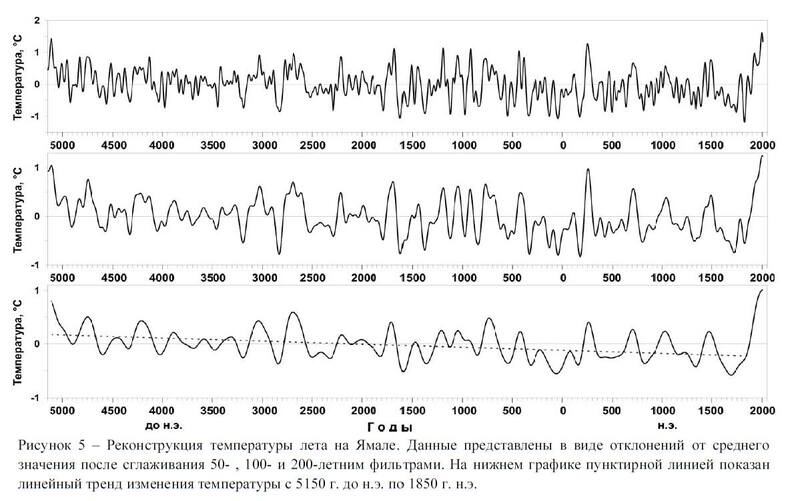 The Hantemirov manuscript is apparently “in support of his application for the degree of doctor of science (DSc), the highest post-graduate academic degree” in Russia and is entitled “Dynamics of tree vegetation and climate change in the north of Western Siberia in the Holocene”. Figure 18: Change in mean summer temperature (as anomalies from the mean), smoothed with a 50-year filter, and dynamics of the polar tree line. The tip of the hockey stick “blade” (based on a 50-year instead of 21-year filter), is still a full 1 deg C above the MWP (Medeival Warm Period) peak. So clearly there are enough samples to pass the any reasonable “climate audit”, at least for the period of greatest interest. 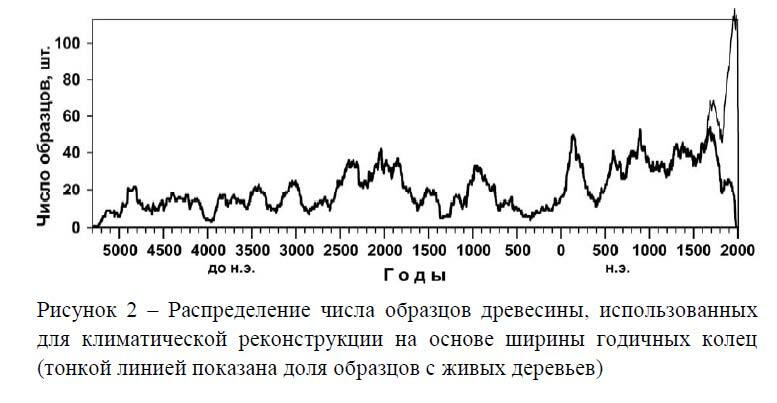 Figure 5: Reconstruction of summer temperature on Yamal. The data are shown as anomalies from the mean value after smoothing with 50-, 100- and 200-year filters. 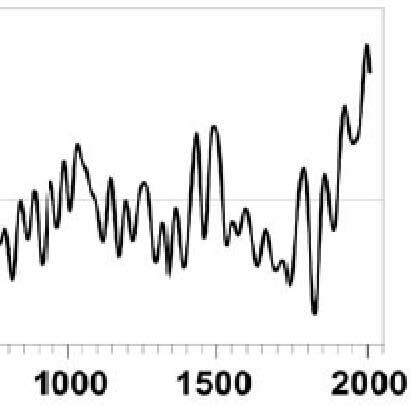 On the lower graph, the dotted line shows the linear trend in temperature change from 5150 BCE to 1850 CE. Here’s the 50-year filtered reconstruction for the last 1000 years or so (upper righthand part of the previous chart). Yep, it sure looks like the hockey stick is still unbroken. [Update, October 7: It’s probably worth repeating, of course, that there may be more hockey sticks lurking in a paper pointed out previously by both Delayed Oscillator and myself. And who knows, maybe this paper is related to the work in the above Hantemirov “report”. Naturally, Hantemirov is one of the co-authors. Obviously this is recommended reading for anyone who is seriously interested in dendrochronology issues. Mr. McIntyre has now discovered that Prof. Briffa kept reducing the number of trees from which he used results, so that after 1990, his calculations were based on just 10 trees from the whole of his sample of scores of trees. And after 1995, they were based on just five. This Prof. Briffa justifies on the need to standardize findings to make them comparable. He may be right. But when Mr. McIntyre plugged more of Prof. Briffa’s data into the calculations, the hockey stick broke again. The 20th century was not particularly warm. That loud crack you just heard is the tree limb starting to snap from under Gunter and the rest of the contrarian know-nothings. Let the backpedalling begin. Or climbdown, as the case may be. This entry was posted in Climate change "skeptics", Climate science and tagged Keith Briffa, Lorne Gunter, Steve McIntyre, Yamal. Bookmark the permalink. >that Briffa did not have control, or the right to distribute, the raw data. Yet Phil Trans made him distribute the data anyways, while Science did not. Nature made Moberg distribute as well, to the point that he had to pay the price of adding a coauthor. I thought I would check on who the co-authors were for Phil Trans. And guess what I found? A certain dendro named Hantemirov. But you knew that already, didn’t you. In figure 2 above, the distribution of samples used in climate reconstructions based on year-ring width , the Y axis is the “number of samples, pcs.”, the thin line are the samples from living trees. Check out the heroic comment at ClimateAudit suggesting there might still be too few recent samples: the thick line in fig. 2 above could be the absolute number of samples, dropping to zero, while the thin line must be the proportion of living trees in that sample in percent, climbing to 100% (well, 120% really, but it’s in the ballpark, right?). There are some convictions you just can’t shake. Yes that is my interpretation of the graph as well, but I should have added that information. Thanks for pointing it out – I’ll update in the post when I have a chance. I also noticed Hantemirov says there 120 living trees and the pale line ends at 120. But that must be just a coincidence. 120% makes so much more sense. I’m sure the auditors will get to the bottom of it. So what was this all about? He could have just done his analysis and and published his analysis, stating that his findings disagree with those Briffa et al. Like any normal scientist. It is funny. Imagine Steve McI ACTUALLY PUBLISHING something… Yes, it’s too hilarious to contemplate. Andrew Revkin just updated his blog post with a link to this thread. Unfortunately, as is always the case, it is a day late and a dollar short. His blog already has several new threads. 1) Steve didn’t accuse Briffa of “cherrypicking” — he specifically said that IF there had been a culling of the data, it was most likely the Russians that did it. So your attempt to depict the e-mail from Hantemirov as being some sort of scandalous revelation fails rather spectacularly — the only thing it “reveals” is how little you appear to know about the details of this story. 2) Steve didn’t say the hockey stick was “broken” — he simply said it is not robust when the Schwiengruber trees are used intsead of the CRU trees — and that no rationale for the use of one to the exclusion of the other had been provided. This does not mean that no rationale is possible — only that one has not been provided. I assume you can grasp that distinction. 3) Yes, Steve had A dataset from the Russians since 2004, but had no way of knowing if it was THE dataset used by Briffa. As he has explained repeatedly, there are often several versions of any given dataset, and it is important to make sure you have the same one used by the author in question. See his history with Michael Mann, for instance. 4) What remains unexplained is why/how there can be a hockey stick in tree growth when there is no corresponding hockey stick in the local temperature measurements. That’s right — the LOCAL temperature record does not show a hockey stick. So we are supposed to think these trees are responding to some sort of global average temperature and not to local temperatures? Try thinking about that one for a while. 5) And no, the “divergence problem” has not been explained. There are still many chronologies that do not show a hockey stick. 6) And what say you to the fact that Briffa misreported a correlation coefficient of .12 as being .49 instead, a fact that was covered up by IPCC authors? Doesn’t matter? 7) I’d also love to hear an explanation that reconciles the apparent stability of temperatures implied by the “handle” portion of the hockey stick with the significant southward movement of the treeline over the period of the Hantemirov. A southward moving treeline would tend to indicate falling temperatures, but the tree rings for this period of time do not reflect this. I’m only a layman, not an expert in this stuff, but it is rather easy to see how badly you’ve gotten the story here. [DC: I don’t have time to address each of your points right now, but I will speak to the first one, which is the key issue. The idea that McIntyre did not accuse Briffa of cherrypicking simply does not hold up, as I showed in a previous post, entitled “Climate ‘auditor’ Steve McIntyre: Yamal like ‘crack cocaine'”. Steve McIntyre specifically said Briffa’s live-core data was “affected by CRU cherrypicking”. At other times, he referred to the “picked” data. He also claimed that Jacoby and D’Arrigo “cherry pick sites, but don’t cherry pick trees within a site”. The clear, unambiguous inference is that others, such as Briffa, do“cherry pick trees within a site”. Those explicit accusations come on top on all of the many barely veiled accusations and insinuations, of course. What institution wants to award Deep Climate an honorary degree for his work in forensic climate blog origination material. Fascinating. Of course McIntyre has published in peer reviewed climate journals, and has more work currently in the pipeline. But it is good that he doesn’t always go the publishing route. It takes a very long time. On several occasions James Hansen and several other Real Climate contributors have corrected their work based on McIntyre blogs. [DC: Let’s set the record straight once and for all. Steve McIntyre has exactly one peer-reviewed article in the scientific literature (the GRL article co-authored with Ross McKitrick). One. Uno. That’s it. He also has two comments in GRL related to that article. And finally there was the short commentary letter to PNAS which of course was not peer-reviewed. Comments or corrections of others’ work of course can be submitted to the original publication and certainly do not take years to appear. And these can be published at the authors’ website in advance in any case. Case in point: the devastating critique of McLean et al’s JGR article submitted within a month of publication by Foster et al. McIntrye was interested in finding out why one data set (Briffa’s 2000) behaved completely differently from other data sets from the same region. As it says in the name of his site, he wanted to audit the result. He couldn’t do that unless he knew what BRIFFA did. did because it completely violated his understanding of proper dendrochronological procedure. BTW, the data that McIntyre had looked nothing like Briffa’s curve, because this data only acquires a a hockey stick when RCS is applied while combining it with other data with a different age/growth curve. The only way he was going to find out that the two data sets were the same was if Briffa told him. I think I’ll post on this. I think you missed a large part of the concern over Briffa’s data. 1. The data failure to disclose. 2. The possibility of selection that was not statistically controlled for [whether via cherry picking or something more benign]. 1. Briffa’s analysis assumes roughly Gaussian noise and roughly linear temperature response after adjusting for age. The trees in question are clearly neither. 2. All or most of the hockey stick in Briffa’s signal is introduced during RCS. This process assumes that older trees will grow more slowly than younger trees. In fact, RCS is run on all the trees together, so Briffa assumes that all the trees in his sample (in the absence of temperature changes) will slow their growth along the same exponential curve. Since these 12 trees were collected in a completely different manner than the other trees in Briffa’s study, its hard to see what the basis for this assumption is. As Steve points out, in other studies Briffa has recognized that this is a serious problem, and added other groups of trees located as much as 400km away to avoid it. In this study, Briffa did not do this. I don’t see why everybody is arguing over human issues (which have a way of never getting resolved) when statistically Briffa’s paper is fatally flawed. [DC: It would be nice if we could just focus on statistical or scientific issues and not deal with “human” issues. And, as I pointed out above, there are several ways to do that in the peer-reviewed scientific literature. This is the biggest disconnect that I see. I don’t know how anyone that has actually read CA can claim that Steve McI ever proposed an “alternative” or better chronology. He’s not convinced that tree rings are reliable temperature proxies, so why whould he try to come up with an “improved” version. He clearly stated that removing the 12 Yamal trees and replacing with Schweingruber was a Sensitivity Test, i.e. a test to see how much influence those 12 (10?) trees had on the reconstruction. If everyone in the alarmosphere would stop misinterpreting (purposely?) this point, I’d pay more attention to what else you’re saying. I suspect you’ve got some good points. but I can’t see them through the strawman arguements. Doctor of biological sciences dissertation to be defended next week (the PDF is a summary by the author). It’s roughly a Dr.Sci. degree; Hantemirov already has the Russian rough equivalent of a PhD. Igor Samoylenko had to correct me on that point over at RC. Finally they got their, already proven inaccurate, attack on Mann et. al in to Geophysical Research Letters, which has much looser standards – more, smaller, papers published, and that includes “frontier” research – another word for speculative or fringe papers. I’m not sure that we can say definitively what objections (other than length) Nature had. Also I’m not sure if the Nature submission was to be peer-reviewed or not. But certainly, the failure to submit a piece under the word limit is telling. I’m not that familiar with the whole episode (just the broad outlines). If you have a link that tells the story in some detail (by other than the participants of course), I would be interested. Maybe Tim Lambert at Deltoid covered this? Also the GRL critique was more limited in scope than the E&E paper that came out around the same time. So the strategy was obviously to get as much as could be gotten into the peer-reviewed literature, and then find other venues for the rest that didn’t pass even the lower GRL standards. In a similar vein, McIntyre’s email to Andy Revkin (published on DotEarth) had fairly mild pseudo-scientific bafflegab, and omitted the invective that is standard fare at CA, including the accusations of cherrypicking. But I did notice that McIntyre quoted from his PNAS “publication”, without mentioning that it was a short commentary letter (and not peer-reviewed to boot). One could easily get the mistaken impression that this was a full-blown peer-reviewed article, but Revkin didn’t catch that, apparently. Deep, Phil Trans made Briffa reveal more than just this data. Can you find any coauthors of Helama et al in Briffa’s paper? That data is right there with the Yamal data. If Briffa had published in Phil Trans in 2006, they would have made him reveal the data. Figure 2: Distribution of the number of tree samples used for climate reconstruction based on year-ring width (the thin line shows the share of samples from living trees). Pingback: DeSmogBlog » Who’s paying for McIntyre’s attack on Hockey Stick? When you say that this “may finally lay to rest all the absurd claims of its demise made by contrarians (not to mention apparently libelous accusations of scientific malfeasance)”, I believe that you are being way too optimistic. Sure, it may lay them to rest in the reality-based community, but in the contrarian community it will alas do nothing of the sort. They will just keep repeating the same mantras, “The hockey stick is broken,” “Mann won’t release his data”, “the atmospheric greenhouse theory violates the 2nd Law of Thermodynamics”, etc., etc. I’ve been spending too much time over at WUWT and, alas, I am convinced that the very potent combination of ignorance and arrogance that exists over there ain’t ever going to go away! I should have said it may put it to rest this time. Until the next time. Depressing as hell, I know. There’s a name for the observed behavior. 4. Leader begins to mock the Targets for not responding to Leader’s various musings (“silence of the dendros”), re-inforcing pre-conceived views that Targets are indeed hiding something. 5. If Targets of attack do respond, Followers of Leader declare that is evidence that the charges against them have merit and celebrate their humble Leader’s ability to rile up the Targets. If Targets denounce attacks against them, Leader and Followers attempt to portray themselves as humble victims, and it becomes further evidence of charges against Targets. 6. Further celebration occurs when normally objective observers report on the circus. Leader muses to self how wonderfully efficient the setup of dominoes is falling. 7. When the hype dies down, the issue in #1 is eventually exposed to be trivial and insinuations in step 2 often directly refuted. 8. Followers continue step 3 indefinitely. 9. Leader eventually looks for ways to Repeat step 1. So how does a society deter this sad scenario? Are solutions to the Dunning-Kruger Effect practical? Helama had co-author Eronen. Briffa (2008) has co-author Eronen. You could not find this out yourself? Helama had co-author Eronen. Briffa (2008) has co-author Eronen. You could not find this out yourself? dhogaza: it took me less than one(!) minute(!) to debunk. How does MikeN find his way around the Internet, if he is uncapable of looking up the authors of a mere two articles?! Pingbank about McIntyre having all the data anyway arrives while we’re talking about the various co-authors. I hope MikeN appreciates the irony. In related news, Andrew Bolt has problems with authorship of Briffa et al 2008. Nice job compiling other hockey sticks from Russian scientists. it took me less than one(!) minute(!) to debunk. How does MikeN find his way around the Internet, if he is uncapable of looking up the authors of a mere two articles?! Yeah, but you had the insight to realize that the clown never checked up on the misinformation fed him by some other clown who was just making s**t up. So, yeah, you’d think, I’d think, but he’d copypaste. DC, I passed through Climate of the Past today and spotted this new paper on Holocene climate in northern Europe. Among other things, it eliminates the MWP as a distinct feature and reduces irradiance chnages to a minor role. Anyway, someone should blog it as it looks to be the mother of all hockey sticks. I don’t know how much merit they have, but could someone with time and expertise address questions 4, 5, 6 and 7 Michael Smith asks further up the page? Fair enough. I’ll try to get to at least some of those in the next couple of days, but I’m open to anyone else taking a shot as well. Thanks, DC. I’m always on the look-out for things that shake my belief that AGW is real, because of course I don’t want it to be true. Unfortunately I’m disappointed most of the time (practically always, as a matter of fact) when I delve some further into a thing that at face value seemed a good reason for doubting some aspect or other of the AGW theory. Perhaps if Michael Smith is still around, he could point me to a link with further explanation? Steve McIntyre specifically said Briffa’s live-core data was “affected by CRU cherrypicking”. At other times, he referred to the “picked” data. You continue to ignore the fact that Steve said that, in his opinion, if any “cherrypicking” had been done, it was likely the Russians. That’s his only explicit statement about WHO did the picking — so you cannot point to other instances of the word “pick” and claim he aimed it at Briffa. Gavin at realclimate took Steve’s statement and, omitting the part about it being the Russians, quoted Steve out-of-context to misrepresent what he said — a very lame tactic that is way, way beneath someone of Gavin’s intelligence and knowledge. … this does not mean that one could not improve a chronology by reducing the number of series used if the purpose of removing samples is to enhance a desired signal. The ability to pick and choose which samples to use is an advantage unique to dendroclimatology. When you have chronologies that don’t track the warming of the 20th century — the so-called “divergence problem” — and you choose to do reconstructions that exclude those “divergers” — you are inherently “cherrypicking”. Might this “cherry picking” be justified on the grounds that it is necessary to use trees that respond to warming, and not use those that do not? Well, here is the problem I see with that notion: you have no way to “cherrypick” and find the responders among the trees that represent the time period before the instrument record begins. So how does one know that that population of trees are “responders“, and not themselves “divergers”? I haven’t seen a good answer to that – but then, I’m only a layman trying to understand these reconstructions. And as for those expressing disgust over the fact that Steve has had the Russian data since 2004, see my comment 3) above. Be sure to check out what happened with Michael Mann when Steve assumed that a data set he’d been given was in fact the correct “version” of that data. Also, I’d love to know how many more than 40 e-mails — which was the number Steve sent to Briffa, Osborne, Science, etc. trying to get the precise data they used — how many more e-mails would you have sent before you gave up? To this layman, the huge effort that’s gone into trying to prove that McIntyre somehow falsely and improperly accused Briffa of scientific misconduct simply looks like an effort to avoid confronting the fact that another hockey stick has been shown to be non-robust to the replacement of a mere 10 cores. Michael, McIntyre said this in a much later comment, and never retracted his “CRU cherrypicking” comment. The Russians are and never were at CRU. Briffa is. Second, McIntyre’s complaints about the data doesn’t hold. He admitted to having the data. He admitted that that data gave same/similar results as Briffa. But rather than ask Briffa (or Osborne, for that matter) whether this really was the same data, he kept on bugging several people to “give the data”. Science referred him to the original authors of the data (which was NOT Osborne and Briffa, as McIntyre claims), and he never admitted to them that he already had that data, but just wanted to be sure. No, he just kept asking them for the data. 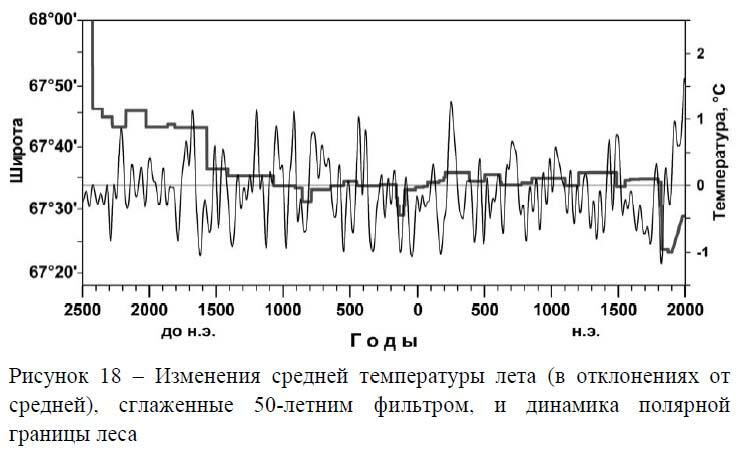 Oh, and the Russians are close to publishing an extended data set, with many more cores, showing…a hockeystick. What McIntyre has shown is that this type of analysis isn’t robust to arbitrarily chosing other datasets, especially if those datasets show a very clear divergence, meaning they are not good temperature proxies. As any dendrochronologist can tell you, especially if they have read something about the RCS method, you WILL get bad results when you mix datasets with trees that don’t show similar growth patterns. Let’s try to stick to one issue at a time. I’ll address the accusation concerning the Yamal chronology. First let’s review some quotes in order from the key post. The post referred to “12 picked cores” and a combined series that was “a little bit pregnant”. So we can easily see that McIntyre took some time to decide who did the selection of cores, despite his statement of Oct. 4. As McIntyre himself admits, if the Russians selected the cores there is no possibility of cherrypicking. At most there would be possible “unintentional” bias. Also notice the reference to 12 of 17 cores. At this stage, McIntyre appears to be assuming that these 12 might be from the 17 cores (but even there he’s not sure). But even so that implies five “missing” cores that must have been left out by CRU. Now it turns out that all 17 were in the CRU archive all along. The “missing” five were collected earlier. Among other things, that means that these five trees were left in the “sensitivity analysis”, as were any Yamal sub-fossil from the same period. This might be responsible for a “drop off” at the end. Northern and high-latitude alpine treelines are generally thought to be limited by available warmth. Most studies of tree-growth–climate interaction at treeline as well as climate reconstructions using dendrochronology report positive growth response of treeline trees to warmer temperatures. However, population-wide responses of treeline trees to climate remain largely unexamined. We systematically sampled 1558 white spruce at 13 treeline sites in the Brooks Range and Alaska Range. Our findings of both positive and negative growth responses to climate warming at treeline challenge the widespread assumption that arctic treeline trees grow better with warming climate. High mean temperatures in July decreased the growth of 40% of white spruce at treeline areas in Alaska, whereas warm springs enhance growth of additional 36% of trees and 24% show no significant correlation with climate. Even though these opposing growth responses are present in all sampled sites, their relative proportion varies between sites and there is no overall clear relationship between growth response and landscape position within a site. Growth increases and decreases appear in our sample above specific temperature index values (temperature thresholds), which occurred more frequently in the late 20th century. Contrary to previous findings, temperature explained more variability in radial growth after 1950. Without accounting for these opposite responses and temperature thresholds, climate reconstructions based on ring width will miscalibrate past climate, and biogeochemical and dynamic vegetation models will overestimate carbon uptake and treeline advance under future warming scenarios. Warming produced greater growth in some, less growth in others, and had no effect at all on still others. I think his point 4 is just plain wrong. Delayed oscillator has put his 2 cents in, and extracted summer temperatures over the last century around the Yamal grid from the CRUTEM3 database. The temperature goes up. Marco, thanks for the reply. Doesn’t it matter that it’s summer (JJA) temperature for the grid box [65-70N, 65-70E] from CRUTEM3 that is used in this graph, instead of yearly temperatures? Generally speaking, growth of northern tree species is known to be correlated with summer temperature. Of course, at longer time scales (low frequency), warmer summers imply warmer annual temperatures, but this may not necessarily hold at interannual or intradecadal scales (high frequency). Michael Smith: The dangers of reading only the abstract looking for a snippet to support a viewpoint is highlighted by the Alaskan white spruce paper. Note that the authors spend alot of time explaining why there is not always a positive response to temperature. The point is that tree rings will underestimate tree ring growth with warming, when it accompanies drought and stresses the trees. Also, I’d love to know how many more than 40 e-mails — which was the number Steve sent to Briffa, Osborne, Science, etc. trying to get the precise data they used — how many more e-mails would you have sent before you gave up? I wouldn’t have kept asking the wrong questions to the wrong people for so long. Michael Smith is asking interesting questions. Is anyone going to answer them? As I have already shown in excruciating detail, as a response in the original comment, McIntyre referred to CRU (i.e. Briffa) cherrypicking, and also accused others of “cherrypicking” sites. This question is ill-posed. There are published criteria for inclusion of sites, but it would be onerous to demand that researchers (Hantemirov in this case) to say why they haven’t included the sites of other research teams in each and every case. There appear to be many reasons why this may not be an appropriate site to include in the Yamal regional chronology, but that’s a question best posed to Hantemirov. However one obvious consideration is strongly hinted by Hantemirov and Shiyatov in the Holocene 2002 article. “The systematic collection of subfossil wood samples was begun, in 1982, in the basins of the Khadytayakha, Yadayakhodyyakha and Tanlovayakha rivers in southern Yamal in the region located between 67°009 and 67°509 N and 68°309 and 71°009 E”. So, addition of the Schweingruber site would overweight one particular location and undo Hantemirov’s systematic approach, at least for the time covered (1790-1990). The site does not appear to have been used in a published study, even by Schweingruber. And of course the site suffers from the divergence problem. There are problems with McIntyre’s “sensitivity analysis” as well. Why remove 12 live tree series and leave 5 others from the Yamal network, and include 33 tree series from another site, including both dead and live trees? Why didn’t he ask Hantemirov about the dataset? This was already dealt with. But I have a feeling this might also have to do with a preference for Salehard (66N, 66E) instead of Msj Kammenji (68.5N, 73E) cited by Briffa et al. But the latter is definitely closer to the Yamal network (see above). 5) Who said the divergence problem was “explained”? I said that a recent paper claimed to have “resolved” the divergence problem at least at the centennial level for northern Siberia. 6) Not sure what this is a reference to. Perhaps two different accusations of fraud are being mixed up. No idea … It also sounds like it may be off topic. If so, I’ll have to move follow up. 7) The relationship between treeline and temperature is complex. The overall trend over the last few thousand years has been cooler temperatures and treeline southward. There is a slight but noticeable uptick in the last century. For discussion of the discontinuities in treeline around 1750BC and 1800, see Hantemirov and Shiyatov 2002 (Holocene). There is definitely a strong upward trend over the last 40 years. Upward trend, seems to be, hockey stick, definitely no. Those graphs, like any instrumental record, can only show the “blade” of the hockey stick (i.e. for the last century or so). They show about 2.5C rise in the full 1880-2008 period and well over 1C for 1970 to present. That’s a heck of a blade. Hang fire there pardner…what of the story that there has been NO warming since 98? INTELLECTUAL COWARD!!! Can’t deal with the facts! Typical hysteria monger. SBVOR’s website isn’t even humorous – the quality of trolls one meets has really dropped significantly in the last few years. Thanks for the answers, DC! Thanks for your response – I am going to see how much I can pin down about the whole Nature thing w/r/t what happened after E&E. It’s worthwhile because frankly, while Lindzen does rise to the level of someone who’s a scientist who understands, or should, a lot of climate science, neither McIntyre nor McKitrick do, at all, and the more we can peel them away and give them their proper status the better. Pielke Jr. is basically a political scientist, as is Lomborg, Mcintyre and Plimer are mining geologists, and McKitrick is an economist. None of them should have any believablitiy on climate that they don’t demonstrate. Nature Pubs often takes a hands-off approach to denialism – their climate discussion blog was chock full of nonsense mixed with reality. And frankly, Keith Kloor’s presence there as a columnist is a bad sign, because he’s the epitome of the science-must-always-be-balanced-by-anti-science-advocacy-or-you’re-censoring-Gallileo-and-you’re-doing-shrill-advocacy-for-environmentalism absurdity. There are only 24 hours in a day. It’s a zero sum game. There may be some value in individual aspects of McIntrye’s statistical criticisms of the hockey stick work over the year. A lot of it has been off the mark too. Either way, dealing with the constant hockey stick criticisms slows important research by paleo-climatologists work. Add it all up and you have a filibuster. Keep talking and it will stop the rest of the participants from getting anything done. Part of the point, I would suspect. What? No comments since the email bust? Interesting. Much of this “drama” could be avoided if IPCC scientists would strictly adhere to the tenets of the scientific method. The last 2 basic steps of the scientific method are: 1. Communicate your results and, 2. Retest. The retesting is often performed by other scientists. If a scientist’s study cannot be replicated, then the study is basically useless. If a scientist wants to confirm his study, then he needs to publish ALL his data, methodology, code, etc. so others can replicate his work and confirm his conclusions. A true scientist should welcome any and all attempts to prove him wrong. The goal is to come to the correct scientific conclusion, right? So I have no sympathy for Briffa, the CRU, the University of East Anglia, or any other organization that refuses FOI requests for release of data. A FOI request should not even be necessary in the first place. They are just shooting themselves in the foot, All this does is reduce or eliminate the public’s confidence in the climate science community, because it gives the appearance that the scientists are trying to hide something. Climategate was a huge blow to the climate science in general, and the emails sure seem to indicate that the “cause” is more important than the science. Most of Briffa’s studies relied on data from other researchers, to which he applied his own methods (these are very well described in Briffa’s papers). I’m not aware that Briffa received FOI request for tree-ring measurement data. I do know that in the Yamal case he directed McIntyre to his Russian colleague, who did supply McIntyre the requested data. This was the same data used in all the Yamal analyses, as should have been clear to McIntyre (I don’t think he checked the references, or else he would have known this). McIntyre’s complaints about Briffa (and hence your own) are completely unfounded.
. If a scientist wants to confirm his study, then he needs to publish ALL his data, methodology, code, etc. so others can replicate his work and confirm his conclusions. Rubbish. Back when McIntyre and co were harassing the CRU with frivolous FOIA requests, It was already possible to replicate HadCRUT using only the papers describing their methodology and the ~98% of the data which was already freely available. Didn’t even take long; anyone halfway competent could do it in an afternoon, with a bit of effort. As an example, CRU’s work has been replicated to death, even by sceptics. I guess you won’t admit to your error, though. Mendacious people who spread falsehoods on the Internet about the alleged fabrications of climate scientists often claim that the famous Penn State climate scientist Dr. Michael Mann has kept his data secret. Actually, as Dr. Mann’s 1995 letter to Congressman Barton states, Dr. Mann’s data is available on Internet at government and university sites. Dr. Mann’s computer programs are a secret because they are his private intellectual property; still, researchers can develop their own computer codes and use Mann’s data to verify his results. Scholars have replicated Dr. Mann’s results by using his data with their own computer programs. Researchers need not have access to exactly the same computer programs (or “code”) as Dr. Mann developed. Dr. Mann’s results can be replicated using his underlying data and methodologies. See the letter (7-15-05) that Dr. Mann sent to the corrupt Congressman Joe Barton explaining the true facts and listing the Internet sites where his data was stored in 2005. The MBH [Mann-Bradley-Hughes] data have been publicly available for more than a decade now! When Dr. Mann moved from U.Va, the same information and data were maintained through his Penn State research site.